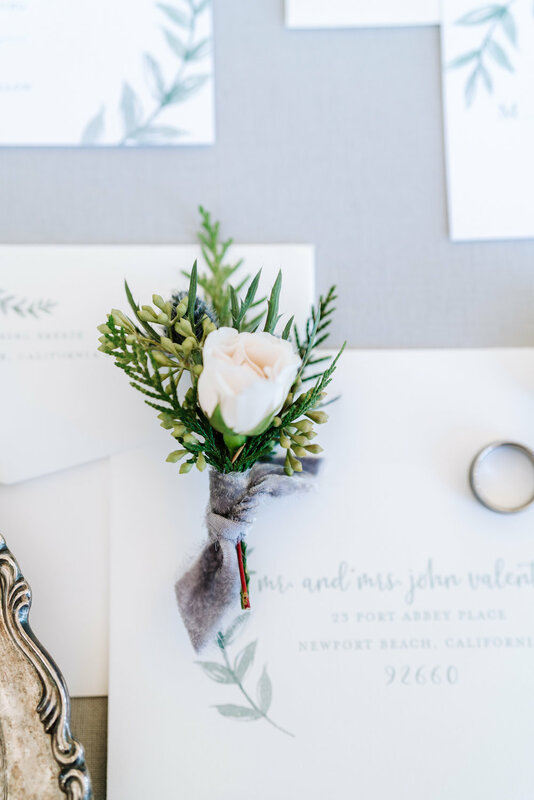 What better way to start a winter-themed wedding shoot than a picturesque road trip through Santa Barbara’s wine region? 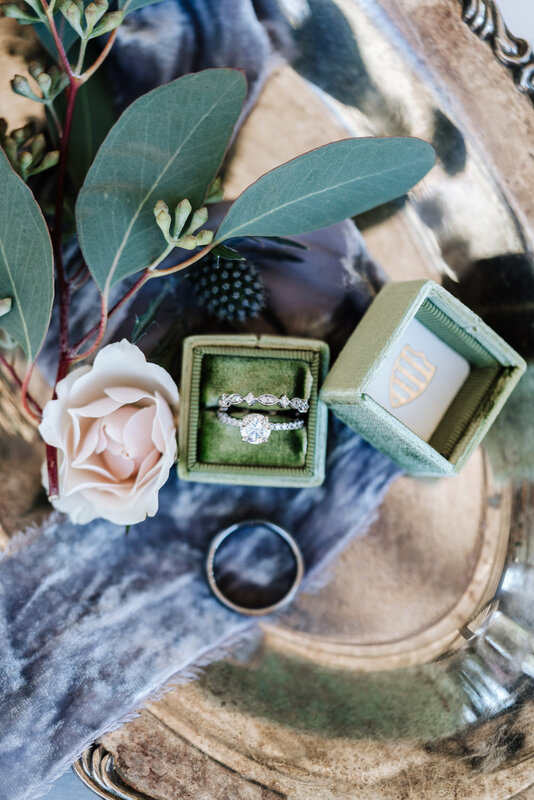 With Bo Vongpanya owner of Tangled Lotus in the driver’s seat, a van full of goodies, and day-of coordinator Krystal Whitelaw not far behind, we were on our way to La Arboleda to snap photos of newly engaged couple, Lisa and Nick. Waiting to greet us at her beautiful venue was Chelsea Rushing. 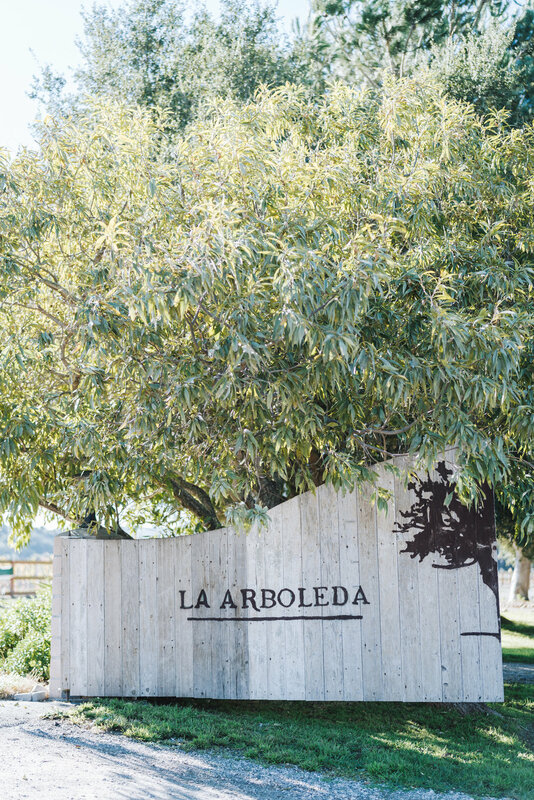 La Arboleda, located in Santa Rita Valley, California, sits just walking distance from Chelsea’s family home, built by her and her father only a few years before. 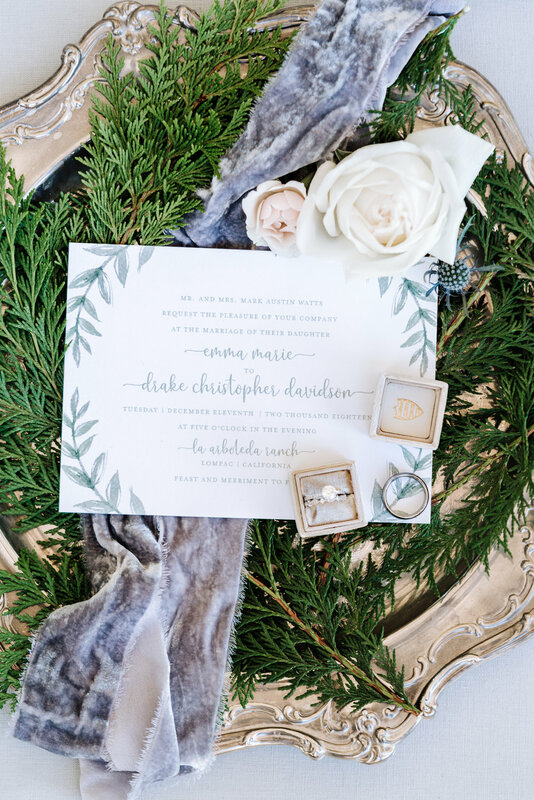 The venue, a rustic paradise, was the perfect spot to create our winter-styled wedding shoot. 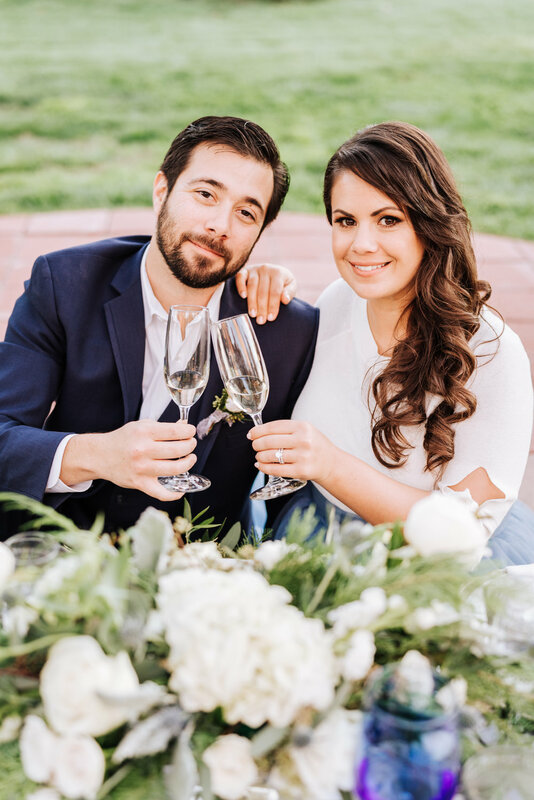 Our props from Amigos Party Rentals had been delivered and our gorgeous couple were ready to be whisked away to hair and makeup. It was time to get busy. The 2pm sun was still too bright for the soft winter wedding look I wanted, so I sought out some shade to shoot the details. 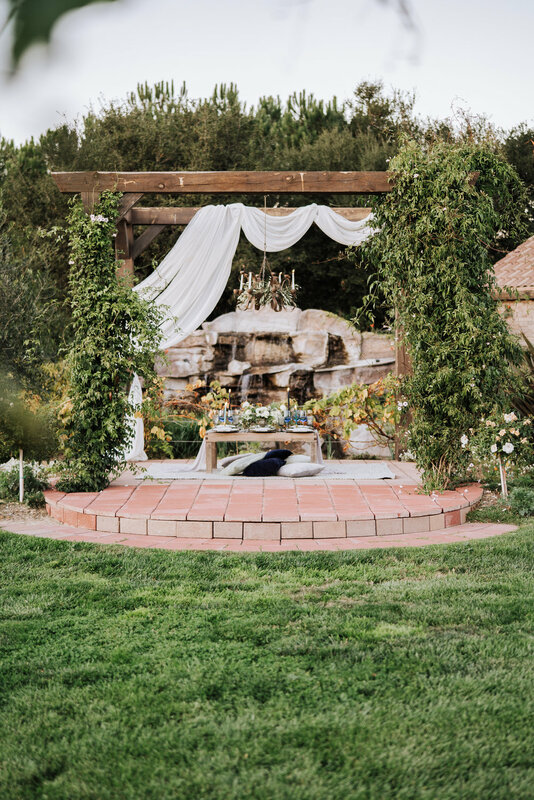 Working with dappled and shaded light in the foreground and leaving the backlight to illuminate the background, the orchard venue provided a stunning backdrop for the ceremony set designed by Bo. 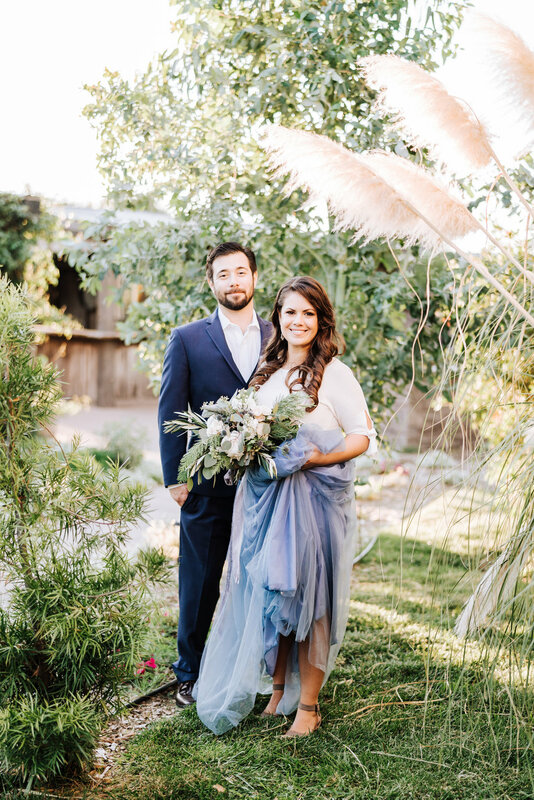 The rustic features of the venue combined with the old-worldly styling gave me a gorgeous color pallet to work with that really suited the mix of light and shade. 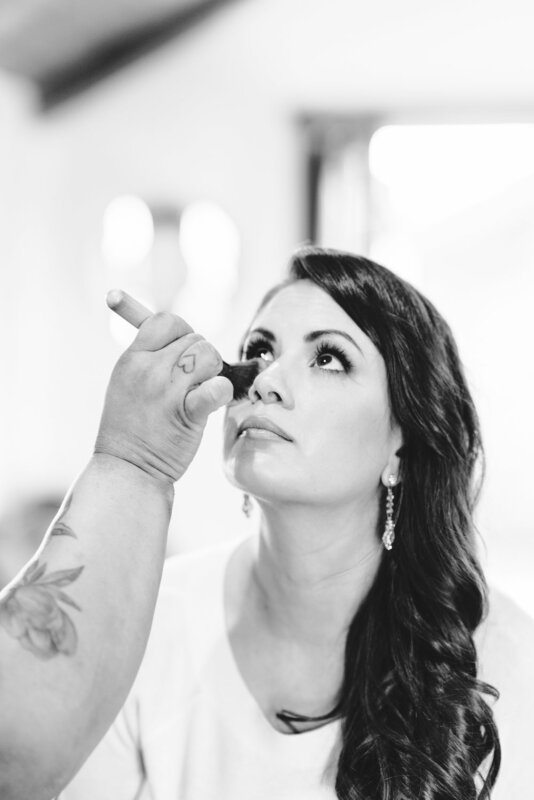 After squeezing in some behind-the-scenes snaps of makeup artist Andrea Mae brushing on the final touch of powder, our couple were ready to go. 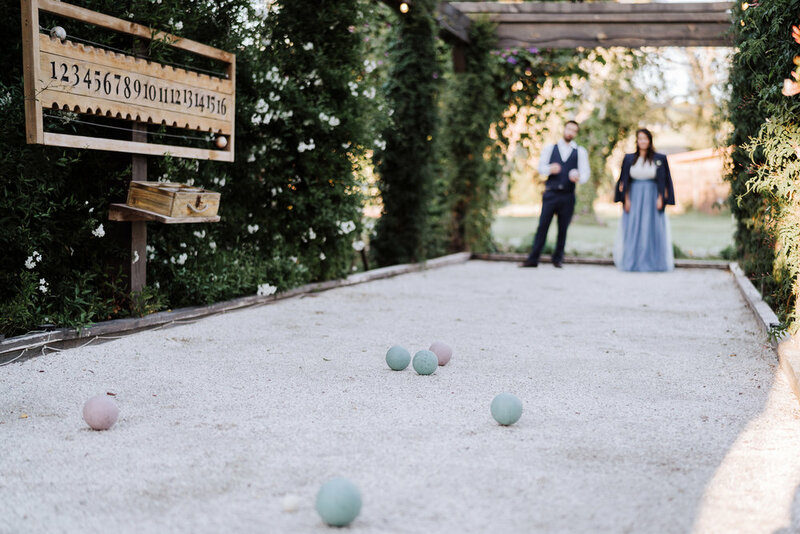 Just like a wedding, our first stop was the shaded ceremony location, the sun now ideal for the soft winter light I was looking for. 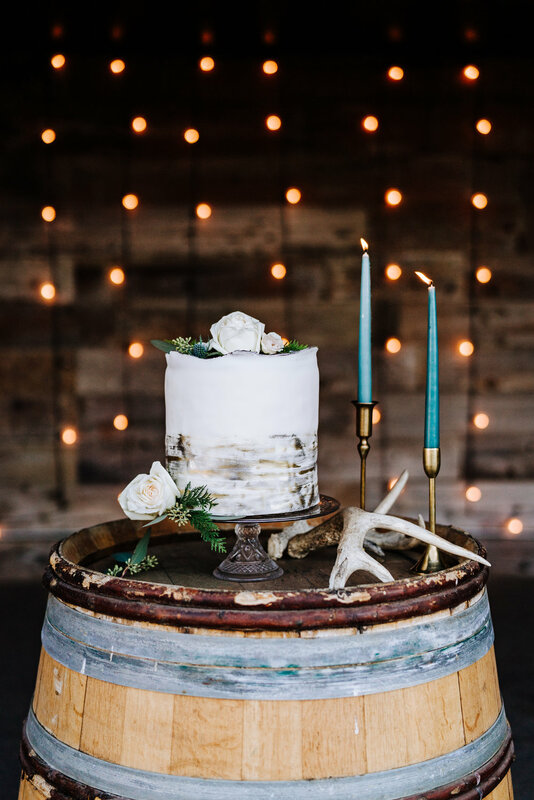 The fairy lights in the background gave the cake shots a magical winter feeling, perfect to break up the formality of the ceremony setting. 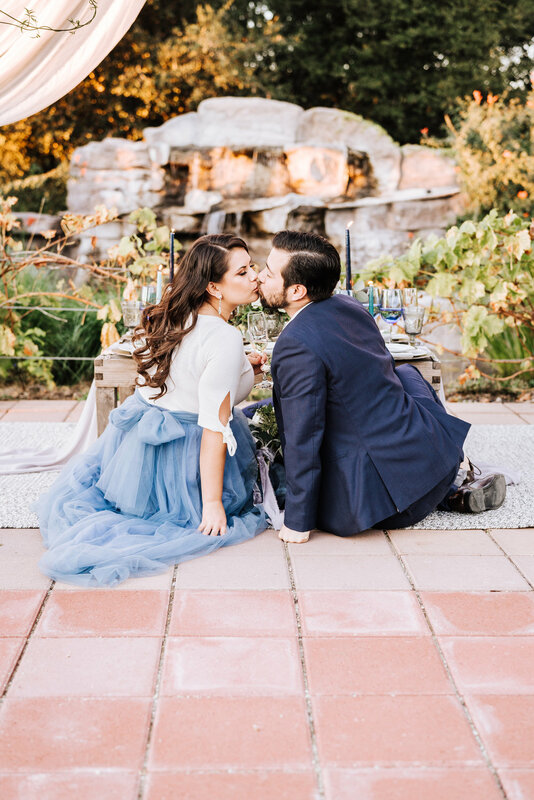 Working with a real couple made this shoot so much more special. Lisa and Nick were super easy going and only too happy for me to show them where to put their hands and how to pose. 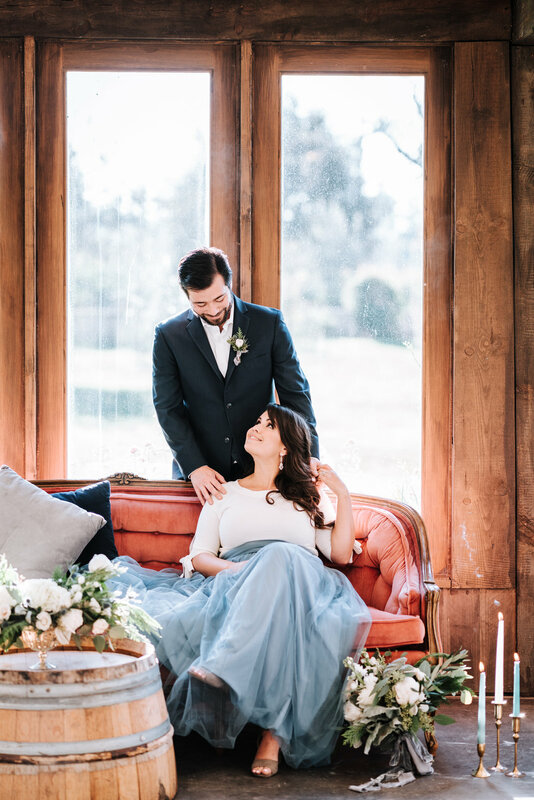 The next stop, the pink velvet lounge, was such a romantic and snug location it really worked to loosen up the couple and let them share some beautifully candid moments together. The last shoot of the day was an amazing table scape designed by Bo. 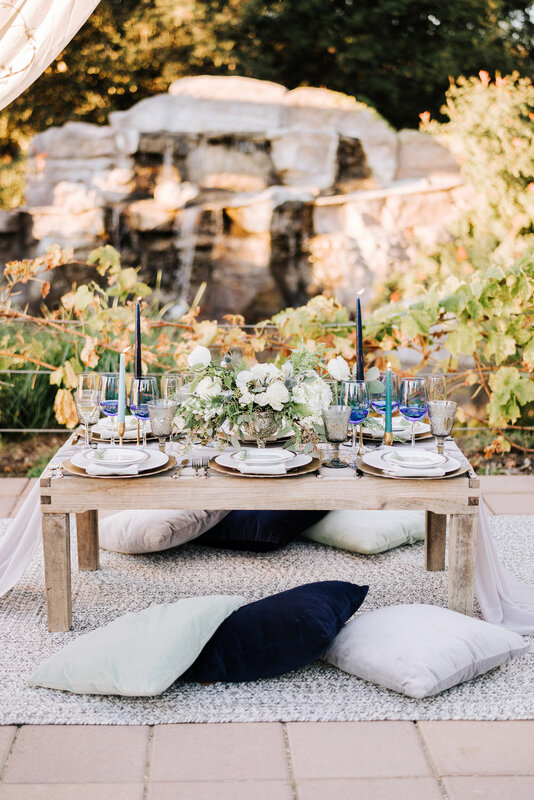 Set up on cushions under a vine-covered pergola, this scene was the perfect end to a magical winter wedding styled shoot. 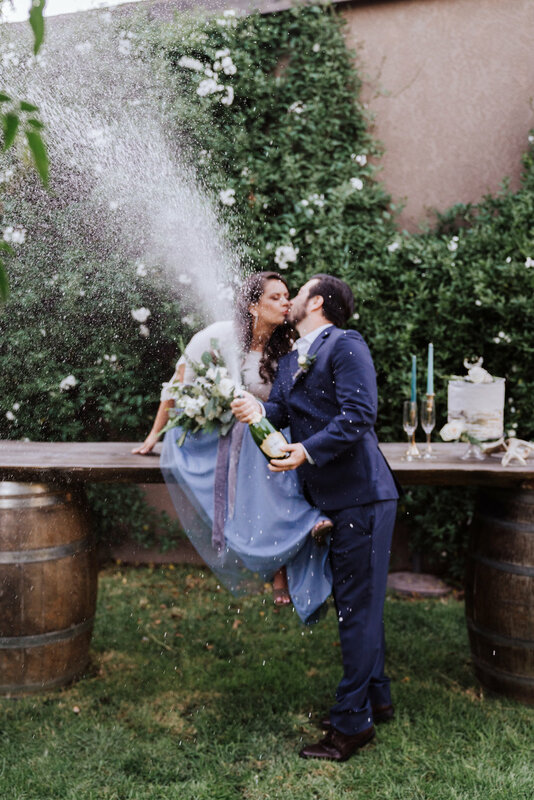 The couple clinked their champagne glasses to a beautiful afternoon, and we finally said goodbye to the stunning La Arboleda. 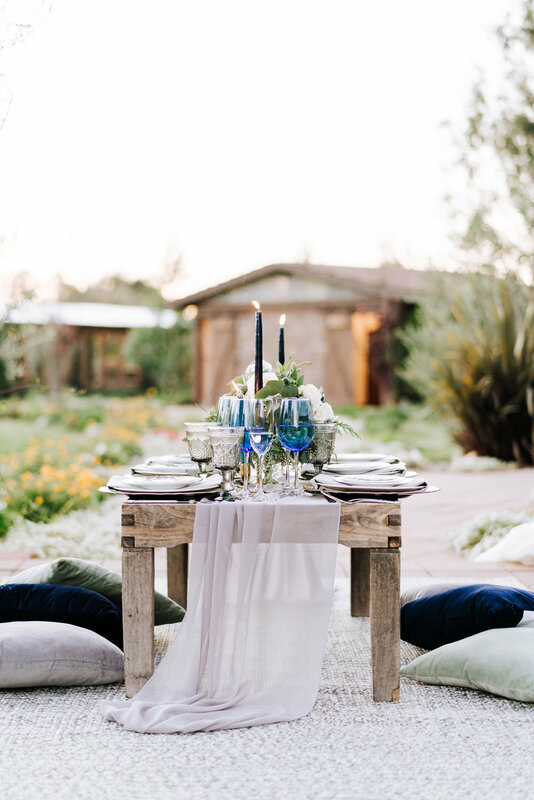 Shot by Californian and Destination Wedding photographer Lauren Newman. 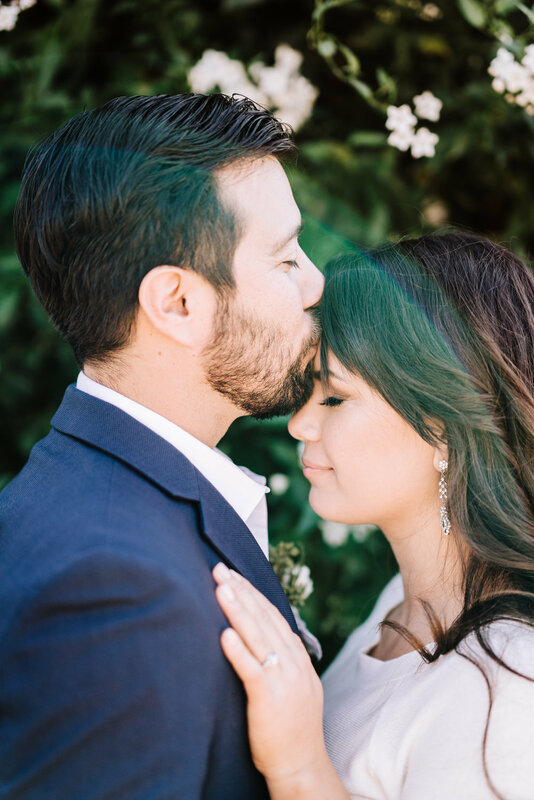 To book in your wedding or engagement session, get in contact here!